A Yoga towel is an absolute must have accessory for your Yoga workouts regardless of your level of experience. They are typically the same size as the Yoga mat and the best yoga towels are usually made of a soft, absorbent and non-slip material. 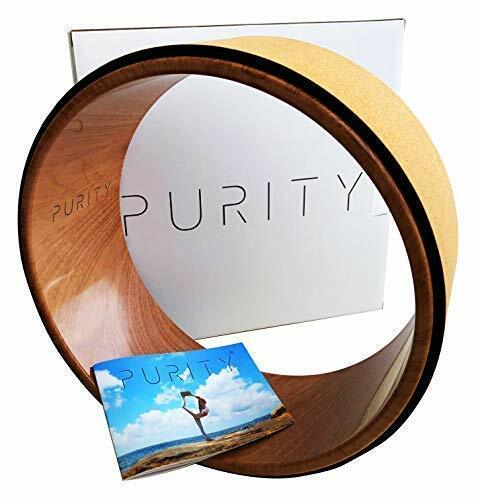 You just put it over your mat to keep it from getting sweaty and slippery or just to wipe the sweat off your face and body. You may think all Yoga towels are the same, but there are differences in size, absorption level and features such being anti-bacterial can make a huge difference. We’ve reviewed the top rated Yoga towels, followed by a buying guide to help you decide on the towel that will work best for you. Size: 72" x 24" 70" x 24" 71" x 26"
The Yoga Towel by Youphoria Yoga is an excellent addition to your yoga mat for those looking for value and durability. 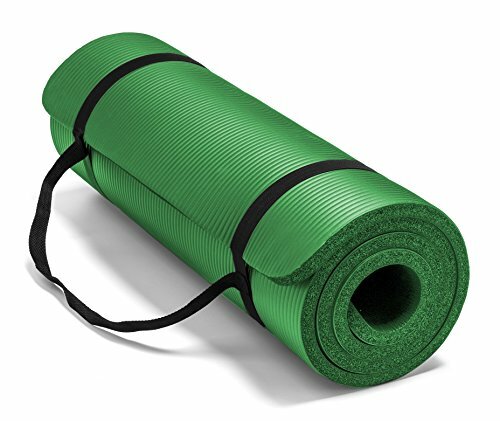 This durable 24”x 72” yoga mat towel offers a non-slip surface designed with the unique elements of hot yoga in mind. With its strong non slip and skid less design the Yoga Towel allows you to hold positions longer while providing a safer feeling when trying traditional or more challenging poses. The Yoga Towel offers a super absorbent and fast drying microfiber material that is second to none. Made up of 80% polyester this towel offers what other competitors can’t offer in the flexibility of a lightweight towel with the durability of heavier constructed materials. With other towels made up of cotton or 100% polyester, the Yoga Towel is made up of moisture wicking microfiber that dries faster and is safer to use as well. The Yoga Towel is a machine washable towel, which reduces the risk of bacteria growing and contaminating you or other yogis. For price, flexibility, durability and size the Youphoria is the best hot yoga towel. This Eco-friendly Hot Yoga Towel is beautifully designed, specifically with hot yoga in mind. With the hot yoga towel, you can enjoy the experience of yoga without worrying about slipping, odor, bacteria contamination and other distracting concerns. As soon as the towel comes into contact with moisture, it dries within minutes. Made from non-toxic materials and non-fade water based prints and top quality microfibers the extra strength whip-stitching increases the yoga towels lifespan and helps maintain its construction. 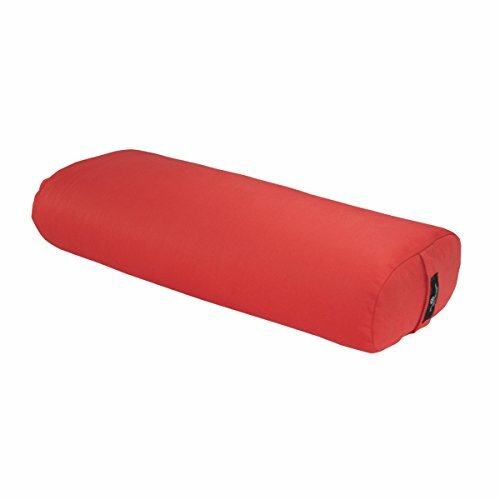 Measuring at 72”x 24” the hot yoga towel provides the perfect balance of cushion, stability and durability to withstand any workout from beginner to advance. It is lightweight but still resilient to withstand high absorbency needs and a non-slip surface. When you are done with your workout simply machine wash, dry and get ready to use repeatedly. For price, durability and slip resistance the Yoga Design is the best yoga mat towel. The ZURA Yoga microfiber towel & mat combo is designed by yogis, for yogis. The ZURA is a super absorbent microfiber constructed towel that is bonded to the 3.5mm mat that is 71” x 26”. The design consists of a textured, yet soft to touch material, ideal for provide excellent traction, while either wet or dry. 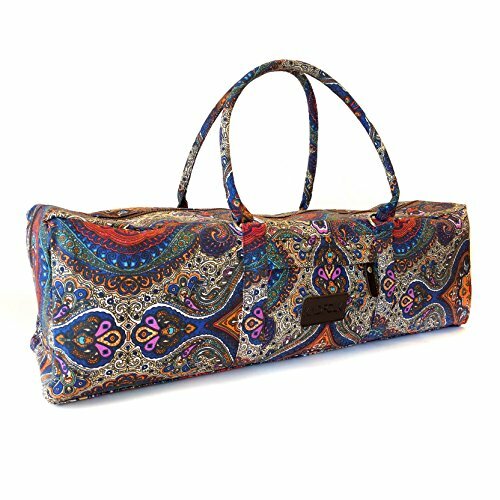 Made from vegan microfiber that resists bacteria growth its ideal for hot yoga, Bikram, Ashtanga, & Vinyasa practices. This mat is manufactured with Phthalate-free natural rubberusing environmental practices and friendly dies, built to withstand a machine-wash after use. The ZURA mat towel will not slip during your session and holds up to seven times its weight in water, which is ideal for hot yoga classes. Built with durability in mind, the mat can withstand up to 500 or more washes in the washing machine. For the price point, durability, absorption and traction the ZURA Yoga Microfiber towel is a top pick for the best yoga towel. 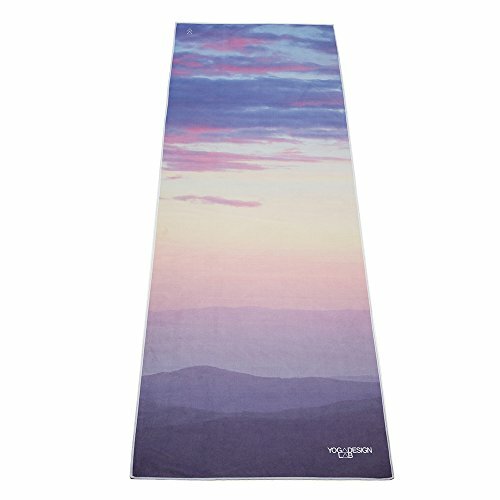 Yogitoes is one of the most popular Yoga brands and the Yogitoes Yoga Mat Towel should definitely be on your short list. The towel grips your yoga mat like glue because of the non-slip nodules on the underside of the towel. The towel measure 24′ x 68′ and is made from 50% recycled materials so it’s environmentally friendly. This non slip properties of the Yogitoes means you won’t be slipping and sliding around with your mat in the middle of poses, this mat length yoga towel will stay in place while you do your poses. This is the primary reason the Yogitoes costs a little more than other Yoga towels, it just stays in place better than other Yoga towels and why I consider it as one of best yoga towels for hot yoga. Video: Overview of the Yogitoes Towel. Now color certainly is not one of your primary considerations when looking for the best yoga mat but the Yogitoes towel is available in dozens of colors. While the multitude of colors is not why you want this towel, it’s kinda nice that you can find one that will suite your style in the Yoga studio. The Yogitoes mat is very durable and will withstand many washings while maintaining its non slip abilities. Now you can practice hot yoga with confidence on a stable, solid platform. Use the in house Yoga mats if you want and not have to worry about hygiene because you never have to touch it. If you are into Bikram Yoga, this is the best skidless Yoga towel, highly recommended. The Health Yoga towel is somewhat unique in that it is a dual grip, meaning its non-slip on both sides of the mat. The towel is an improvement of typical Yoga microfiber mats because it has a silicone coating that ensures it stays in place helping you do your poses. Another unique feature of the Heathyoga towel is the fact that it has “pockets” that fit over the mat holding it firmly in place. This keeps the towel flat over your mat and allowing you to focus on your poses and not worrying about slipping. The towel measures 73″(185cm) x 25″ (64cm) so it will fit over any standard size yoga mat. The towel is also preshrunk so that you don’t have to worry about it shrinking after many washings. The microfiber fabric of the towel is extremely absorbent and will soak up your sweat keeping you dry. It actually gets stickier the more it gets wet. The Heathyoga towel also comes with a carry bag that is large enough to fit the bag and some extras like your phone or a hand towel. Healthyoga even includes a free water spray bottle to “pre-grip” the towel. By doing this the towel will grip the mat better from the start. The Healthyoga is another top pick for the best towel for hot yoga. To use a Yoga mat or not, that is the question. Some people prefer to use a Yoga towel exclusively and skip the mat. A towel can provide the cushioning of a mat but also provide moisture absorption and be folded up into a compact package for easy transport. Most people use the towel over the mat for additional grip, slip resistance and hygiene. You can easily wash a towel, it’s a lot more difficult to clean a mat. Here are some tips to choose a Yoga towel. The majority of Yoga towels are made from a microfiber fabric which is extremely effective at sweat and moisture absorption. The microfiber can absorb a lot of moisture for its weight and thickness and can help prevent slipping while doing your poses. Putting a Yoga towel over a mat is probably the best way to go for a combination of cushioning, slip resistance, especially when you get sweaty which is going to happen when doing Hot Yoga. Using a towel is pretty much a necessity when doing Bikram Yoga. You are going to sweat a lot doing the poses in a hot yoga studio. Cushioning is another good reason to consider buying a Yoga towel. Most Yoga mats are pretty then and do not provide a lot of cushioning. This is especially true if you are using a thinner “travel” Yoga mat. These mats are much more compact but do not provide the cushioning you may need. This is where a Yoga towel can be very effective. Nowadays most Yoga towels are made a “standard size” that fits over a “standard” size Yoga mat. Now of course not all Yoga mats and towels are exactly the same size so for best results its best to measure your Yoga mat first then buy a towel of appropriate size that fully covers the mat while not being too big so as to hanging over the sides of the mat. One of the main reasons you will want to get a Yoga towel is for the added grip that they provide and can aid transitioning between poses. Most Yoga towels have some degree of slip resistance. Of course some are much better than others because they have small silicone “nubs” on one side of the mat to grip the mat. The best Yoga towels will not slip at all when your doing your poses. Having this ability is important for anyone who practices Yoga. Slip resistance becomes much more important when doing “Power Yoga” or Astanga Yoga. To help with slip resistance when starting your session, it is best to spray some water on the towel to give you more traction right from the start. Your Yoga towel is going to be absorbing a lot of sweat during your Yoga session so having a towel that can withstand frequent washing with warm/hot water then can handle a dryer is critical. Better Yoga towels are fast drying, this is especially nice so you don’t have to carry around a wet, sweaty towel after your workout. Yoga towels come in a surprisingly wide range of prices, anywhere from $9 to $50 is not uncommon. Assuming you are going to practice Yoga on a regular basis you are going to want to get a better quality and durable towel. If you are looking for a good quality towel, you should expect to pay at least $30. Some of the best quality towels like Yogitoes are upwards of $50. For that price you will get a quality towel that will last a long time. Better to buy a good quality towel that lasts a long time vs buying cheap ones frequently. A Yoga mat towel is essential if you are practicing Bikram or “Hot Yoga”, it really turns up the heat and also the sweat so you will find a soft absorbent towel very useful in helping you hold your poses so you don’t slip. To use your Yoga towel just lay it over your Yoga mat. It should just cover the mat, you don’t want to use a beach towel or bath towel. These types of towel are not made for the needs of Yoga as they don’t tend to either be absorbent enough or provide enough slip resistance so they don’t bunch up. Because a Yoga towel is specially designed to dry quickly, they can be used repeatedly during long workouts. They also tend to wear-well and stand up to repeated washing’s. Of course you don’t just have to use your Yoga towel for Yoga, it will work great while use the treadmill or maybe in a Zumba class. A yoga towel can a helpful addition to your yoga equipment. We asked Yoga practitioners what questions about yoga towels and their use. Q: What is a yoga towel? A: A yoga towel is one of the most versatile pieces of yoga equipment. Not only can you use it as an actual mat, as they are a similar size to your mat, you can also use it to cover your existing yoga mat. 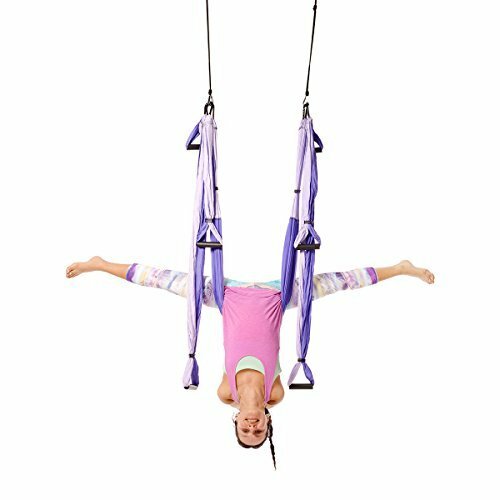 This allows you a bit more cushion but also more grip as you go through more difficult poses. Plus, it’s a towel so you can use it as such by wiping away sweat or cleaning up after your routine so you are more comfortable until you get to the shower. Q: How do I clean my yoga towel? A: Unlike a traditional yoga mat that needs to be cleaned with a spray, a yoga towel can usually just be placed in the wash and laundered like any other towel in hot water. This not only keeps it clean, but it helps to sanitize it since you will most likely be sweating quite a bit when using it. Hygiene should be a top priority for any type of exercise and exercise equipment. Q: Why should I spray water on my yoga towel? A: You may have seen or heard of yogis spraying their yoga towel with water before they begin their routine. It’s quite common and there’s a very good reason for it. Yoga towels tend to have more grip once you’ve sweat a bit on it. However, you don’t have to wait to sweat so you can get more grip. If you spray your towel, just a fine mist will do, it can give you that grip right from the beginning. Q: What are the benefits of a yoga towel? A: Many traditional yoga mats offer quite a bit of cushion, but they can be slippery. This is especially true if you sweat during your routine. A yoga towel can prevent slipping. If you place it over your traditional yoga mat, you can have the best of both worlds. They are also ideal for Bikram, or “hot” yoga. During this type of yoga, the room is heated up and it’s meant to make you sweat. The towel will absorb this and keep your actual mat dry while preventing slips as you switch poses. Q: Can I just use a regular towel? A: Regular towels, such as a bath or beach towel, won’t measure up to a yoga towel. They aren’t made to absorb as much moisture as a yoga towel and they may stretch too much. They also won’t be the right size in most cases. Like with any other exercise, you need to make sure your body and mind are ready for the task. Be sure you are hydrated. This doesn’t mean you should chug a gallon before you start, but you should drink your recommended daily amount of water regularly so you don’t have to try to catch up after you finish. You also shouldn’t eat a large meal right before your routine. A granola bar or protein shake is usually enough to get you moving but keep you from being uncomfortable. If you are new to yoga you may be a little apprehensive about getting started with yoga exercise. If you find a pose is too challenging, it is okay to skip it. If you are in a class, you may also ask the instructor to show you how to modify the pose so it’s easier until you get the hang of it and it’s not uncomfortable. Remember, you may not be able to do everything the instructor can right from the start. Your yoga towel should be able to stand up to the heavy use you intend it for. If you practice every day, or even just a few times a week, your towel needs to stand up not only to use, but also the frequent washing. The yoga towels we’ve reviewed on our list are quality options. It simply cannot be said enough how vital hygiene is for your towel. You wouldn’t want to sit, stand, and lay on a smelly towel. Be sure to follow the manufacturer’s instructions for regular washing. If you participate in Bikram yoga, you should wash it after every use. While a yoga towel and yoga mat are essential items when practicing yoga, there are many other items that can help you get used to yoga, or help you get the most out of your yoga routine. 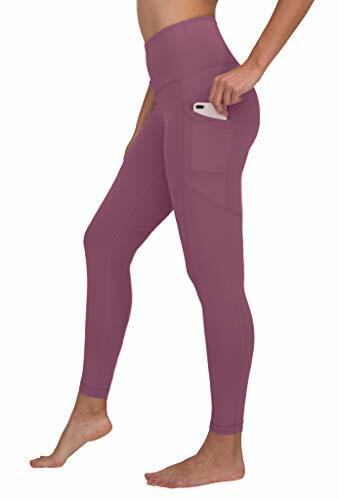 You may want yoga pants to help you move much easier and more comfortably. 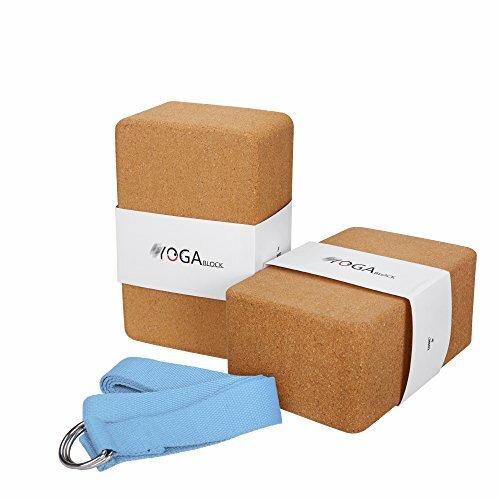 There are also blocks and other items that can support you if you are new to yoga. Of course, you can’t forget a hand towel and your water bottle to keep within reach. I hope this guide was helpful for finding the best Yoga towel to fit your needs. If you want to comment or recommend a towel I didn’t include, please use my contact form to get in touch. Yoga Towel by Youphoria Yoga is our Editor's Choice for Yoga towel with its combination of comfort and style.